There are certain things in the universe that make me ponder. No, I'm not the second coming of Ilya Bryzgalov. But there are things that really make me go hmmm... (C+C Music Factory reference there, if you even know what that is). 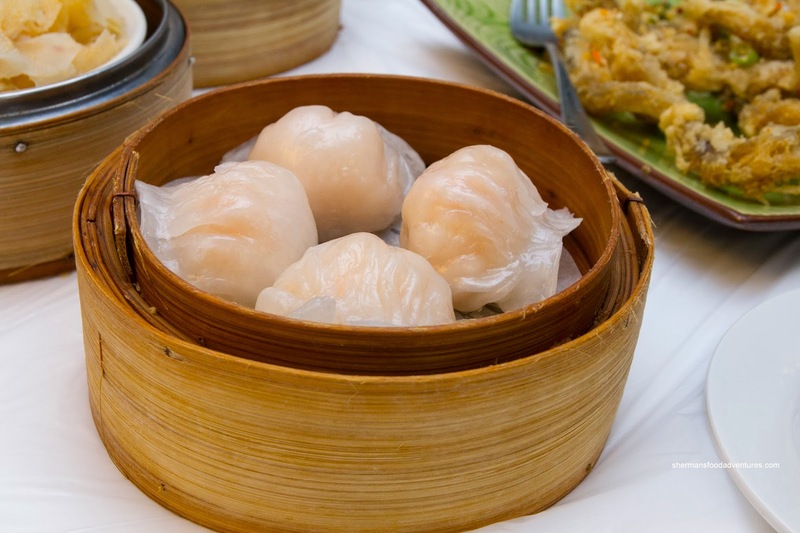 One such thing is the lack of good Chinese restaurants in Surrey, in particular Dim Sum service. Yes, my concerns are trivial in the grand scheme of mankind, but they are important to me! 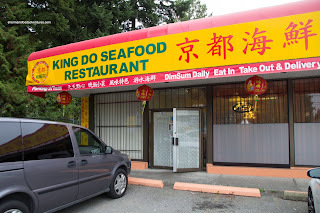 With that in mind, we headed over to King Do in Whalley to see what kind of Dim Sum we'd find. We arrived early on a Sunday so we wouldn't need to worry about the crowds and to secure a parking spot. Both were accomplished and really, the restaurant wasn't even busy by the time we left (around Noon). 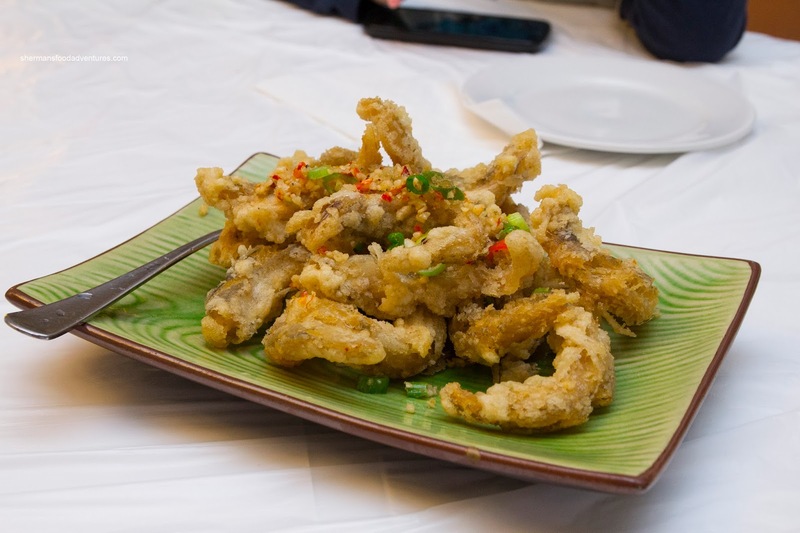 With our first dish, by virtue of the picture alone, one would think it was fried smelt. In actuality, it was Fried Bombay Duck Fish. These were crispy and light being airy inside. With minimal grease and plenty of spice and garlic from the wok toss, these were really good. 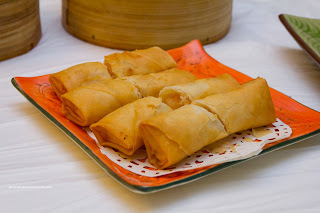 The Shrimp Spring Rolls were not bad either with a hard crunchiness. With a meatiness rather than a cold water snap, the shrimp filling was nicely seasoned. The Phoenix Talons (Chicken Feet) were not as successful. Scrawny and dry, there was a general lack of gelatin and soft cartilage underneath the over-fried skin. Despite the plethora of garlic and hint of orange peel, it was almost devoid of other seasoning. 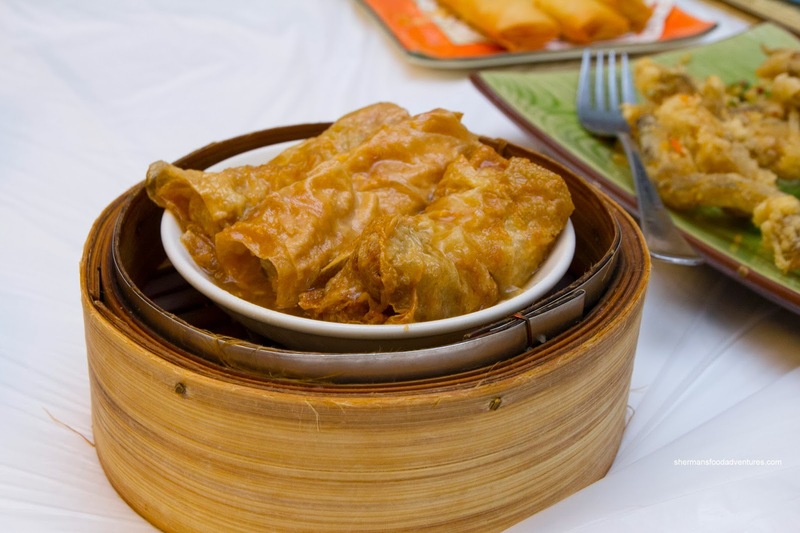 Continuing on the mediocre, the Bean Curd Skin Roll could be best described as boring. Although the bean curd itself was soft with some chew, the pork filling was lacking other ingredients. That didn't help matters as the pork itself was dense and somewhat chewy. Furthermore, there was only mild seasoning as well. Heading into the "meat" of the meal, we had the standards, Haw Gow (Shrimp Dumpling) and Sui Mai (Pork & Shrimp Dumpling). Overlooking the slightly chewy skin (it was not too thick though), the shrimp filling had a relatively nice buttery snap. However, the shrimp was not packed tightly. As a result, it fell out after a bite. Once again, there was a lack of seasoning. 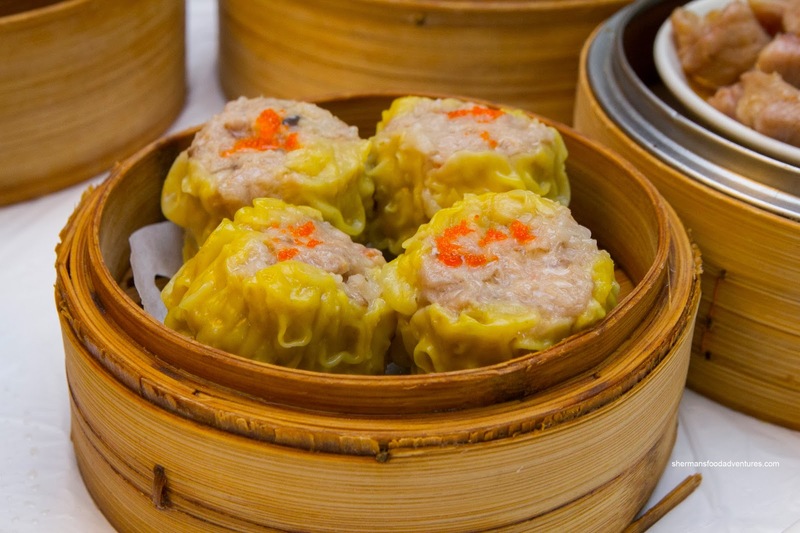 As for the sui mai, the pork filling was soft with a slight chew. There was no bounce texture nor was there any shiitake mushroom or shrimp (at least we didn't see any). This was surprisingly seasoned nicely with a good balance of savouriness and sweetness. 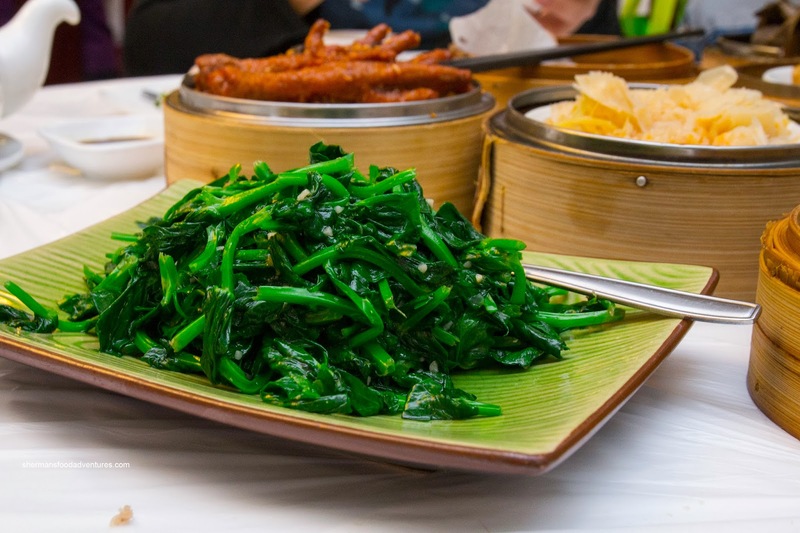 As always, we got the Lo Mei Gai for the kiddies. We found the glutinous rice to be a little firm (hence the full grains being discernible in the picture), but not particularly hard at the same time. 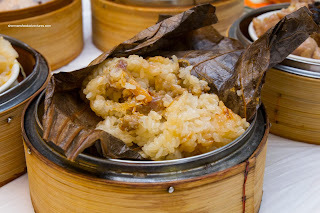 The pork filling was quite flavourful with the addition of dried scallop. 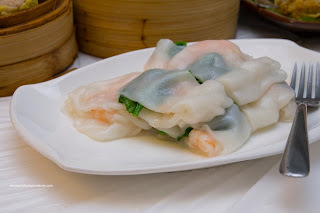 Continuing on with another Dim Sum staple, we had the Shrimp Rice Noodle Roll. The rice noodle was buttery soft with whole pieces of shrimp inside. Being more meaty than having a snap, the shrimp was accented by pea shoots. Normally, I'm not a huge fan of any greens in my rice noodle rolls, but this was okay because there was just enough while retaining a slight crunch. Despite the addition of pea shoots in the rice noodle roll, that would not be enough for my daughter, so we got an order of the Stir-Fried Pea Shoots with Garlic. Although the dish was on the greasier side, the pea shoots were cooked fairly well being wilted yet crunchy. However, there were some chewier pieces strewn throughout. 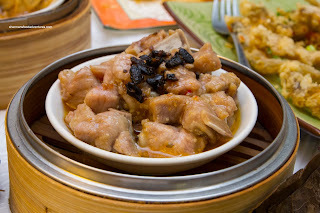 With a strange aftertaste, the Steamed Black Bean Spareribs were actually quite good. Not sure what caused the aftertaste, but the initial flavour was garlicky and a good saltiness from the black beans. 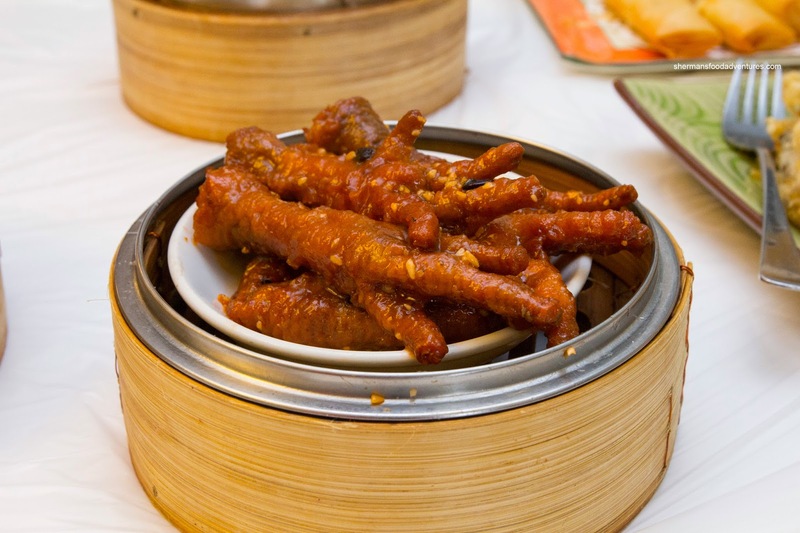 The meaty ribs were chewy with a slight bounce indicating proper tenderization. Of note, there were very few fatty cartilage pieces. Of course I had to get some form of offal, so we had the Bible Tripe. 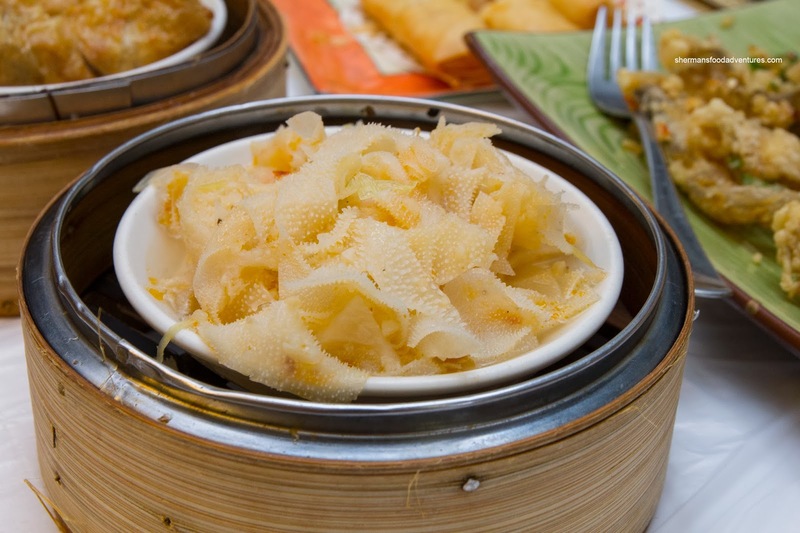 The tripe was not bad with a chewy crunch. There was plenty of ginger, yet it was a bit bland.. Lastly, we tried the Mango Pudding prepared in mini-fish moulds. 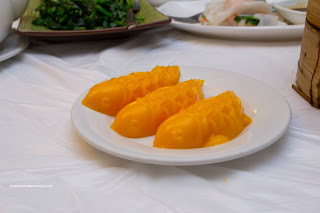 Being pretty typical, these were more like artificial mango jello rather than actual mango pudding. 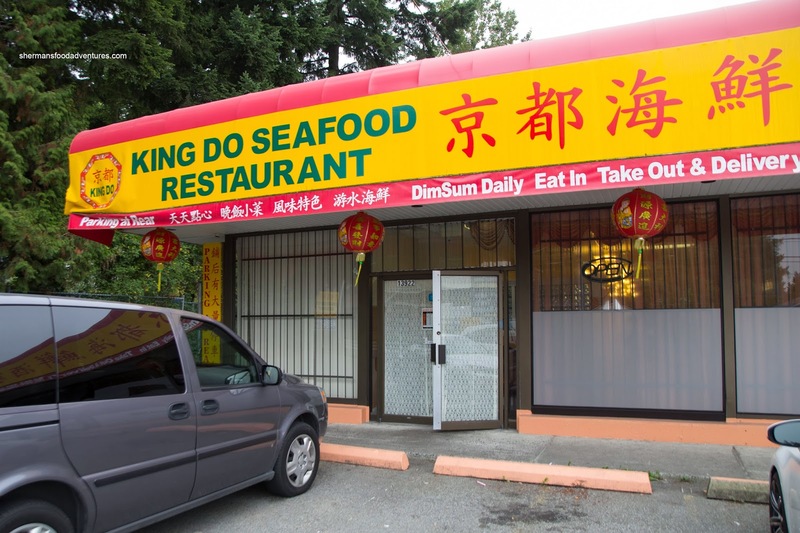 Considering the few competitors nearby (Neptune, Rickshaw and Ho Do), King Do did the job in terms of Dim Sum. Sure, there were some seasoning issues, but in the end, we didn't dislike our food. We found the owner and wait staff to be fairly friendly too.